This original design was inspired by the Japanese Koi Gardens and beautiful tattoo art that is so popular today. A double ruffle in coordinating colors of aqua and blue are added at the hem. 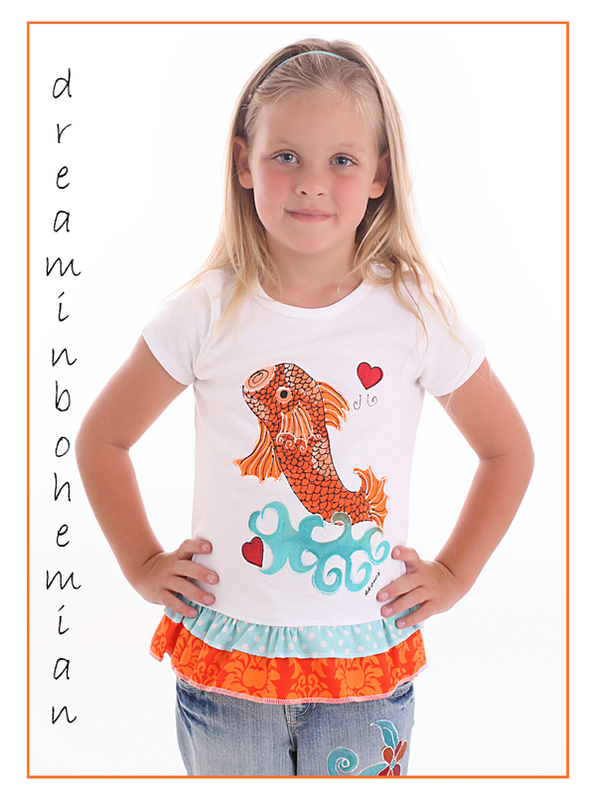 A Dreamin Bohemian Favorite, the pink and orange paisley floral. 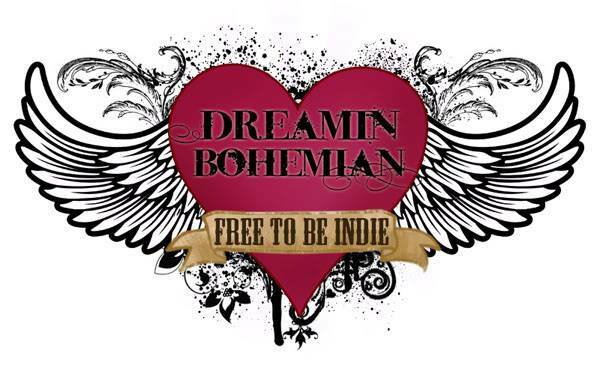 Here is the tee in Pink. 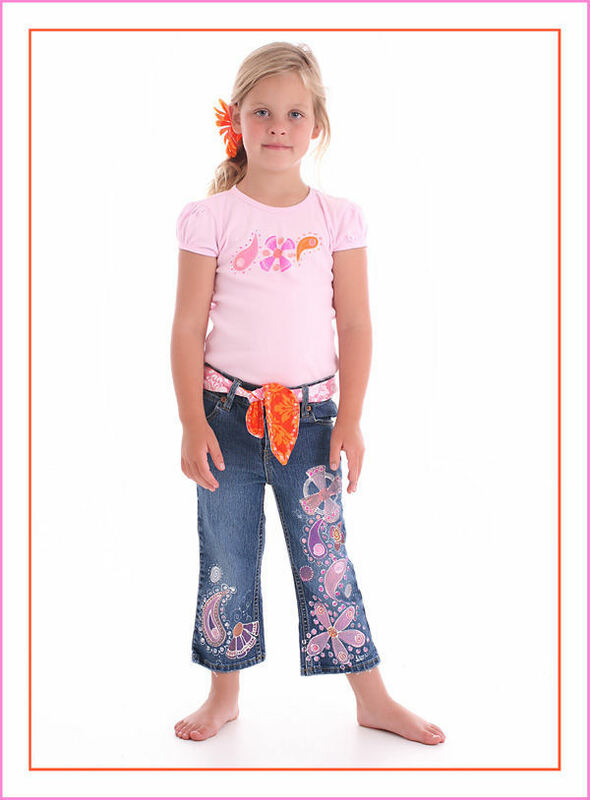 Hand painted in original flowers and paisley for your little princess. 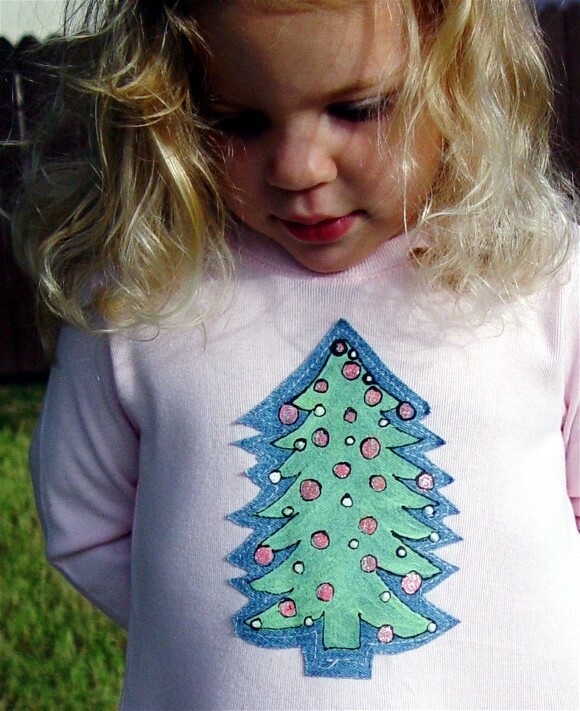 This sweet favorite during the holidays, a simple pink and green tee. 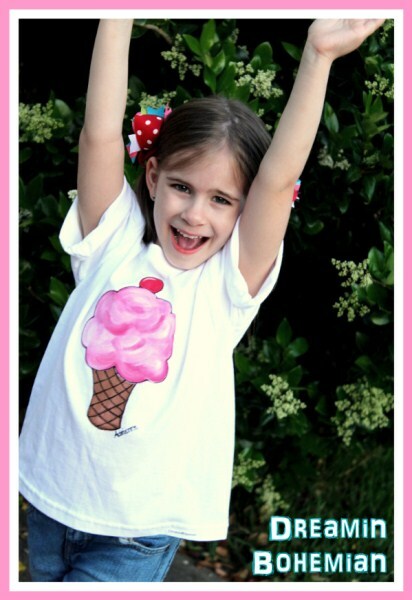 The applique is painted on denim in a pastel mint green, and sewn onto a pink tee. Simple and great with plain blue jeans. Everyone loves little Elfi. 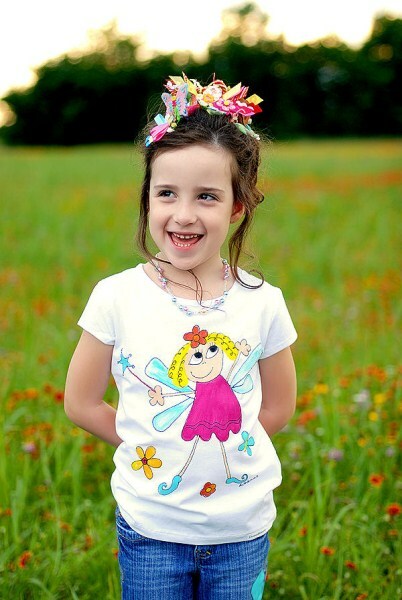 She is a little fairy that dances on flowers and in gardens....and on your little girls clothing! 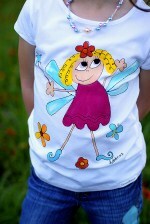 Here is a Sweet painted top with your favorite elfi fairy painted on it. 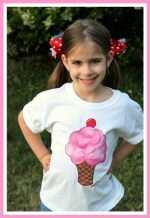 An ice cream sundae is painted on this sweet tee. Yum!